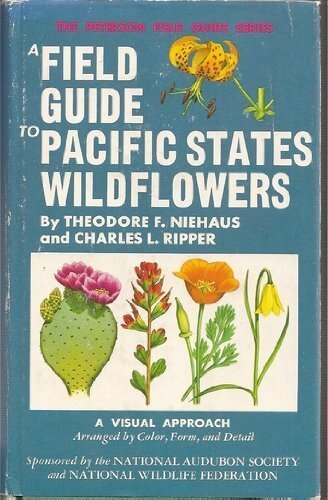 A FIELD GUIDE TO PACIFIC STATES WILDFLOWERS. FIELD MARKS OF SPECIES FOUND IN WASHINGTON, OREGON, CALIFORNIA AND ADJACENT AREAS. Here are descriptions and illustrations of 1,492 species from 77 families - virtually all of the wildflowers found from British Columbia to Baja California, from the Rocky Mountains to the Pacific Ocean. Grouped by color, each species description includes field marks, size, habitat, range, flowering season, and common and scientific names.